Unique-Desire: Twilight + 102 Followers!! I hope you like the look, and again THANK YOU to all my followers!! I LOVE this look! It's not too over the top, I could actually wear this on a regular day... Awesome Job!!! This is a beautiful look. Your blending is flawless as usual! Congrats on the 102 followers! You're so talented, you absolutely deserve every single one (and more!)! And the silver liner looks great on you! Congratulations! Well deserved because you are very talented! LOve this look! 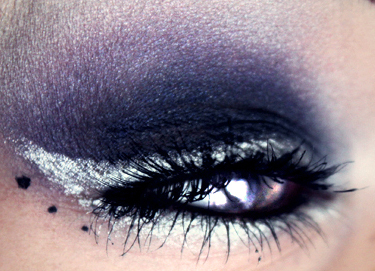 Oh this is gorgeous...I love, LOVE this look...ummm tutorial?! =D I love the last pic too...you are so beautiful!! Congrats on reaching 102 followers! !